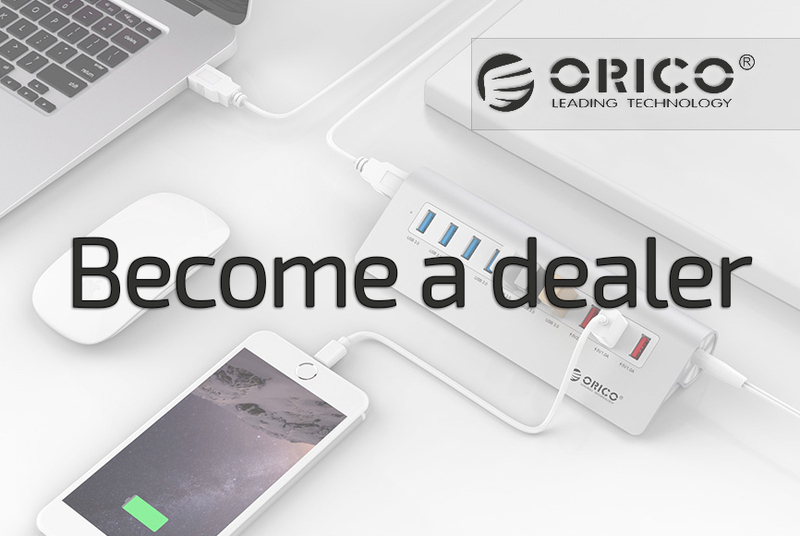 Loads several devices simultaneously by means of the Orico socket with 6 sockets and 5 USB charging ports up to 4000W (250V, 16A). 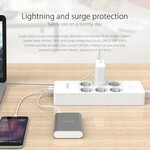 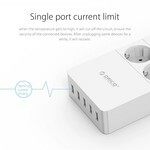 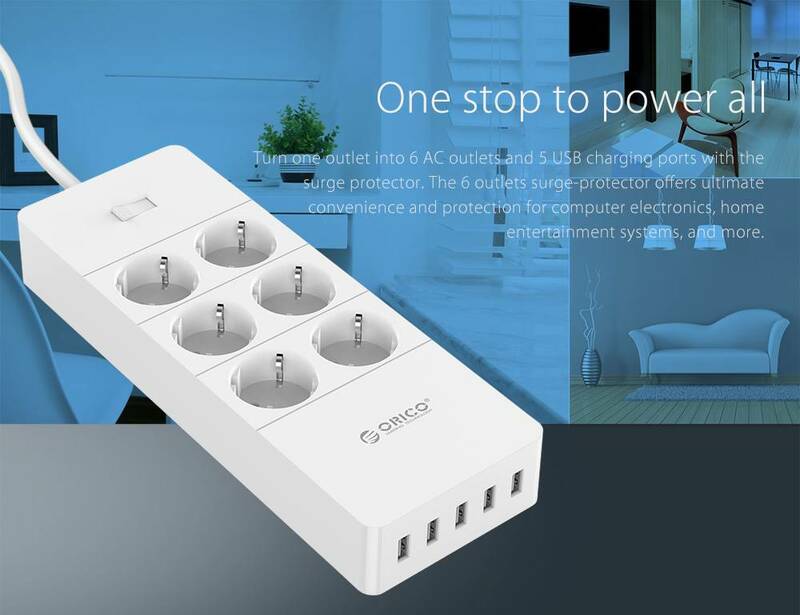 Charges multiple devices at the same time with the Orico power strip, which has no less than six outlets and five USB charging ports. Devices that can be charged at the same time include a smartphone, tablet, portable game computer, digital camera or MP3 player. 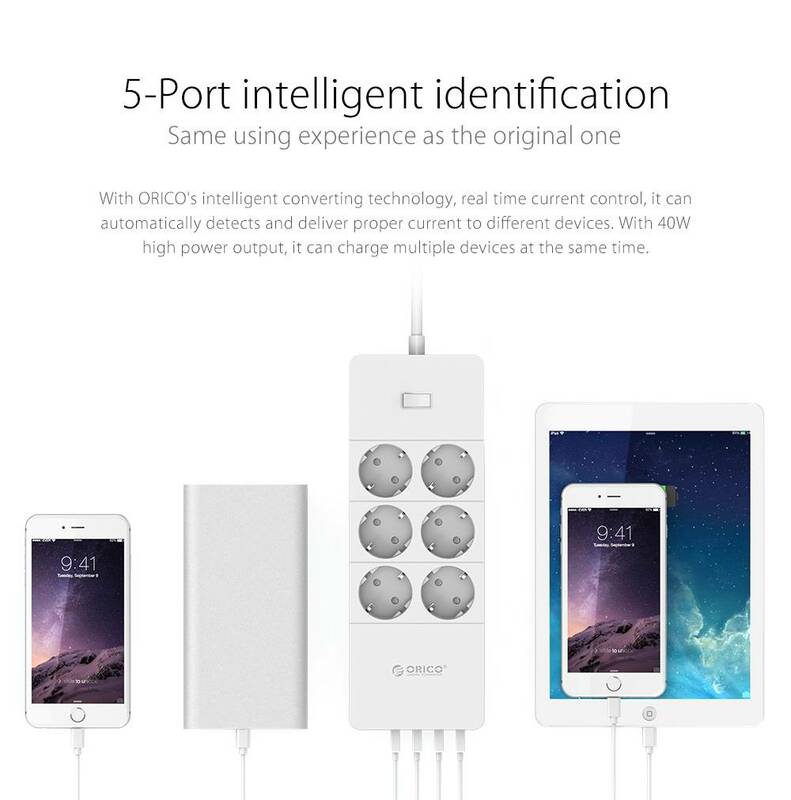 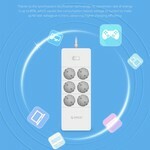 These are 5V devices that can be charged with the five USB charging ports. Charge your laptop by means of the power sockets or, for example, let a cozy lamp burn. 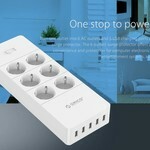 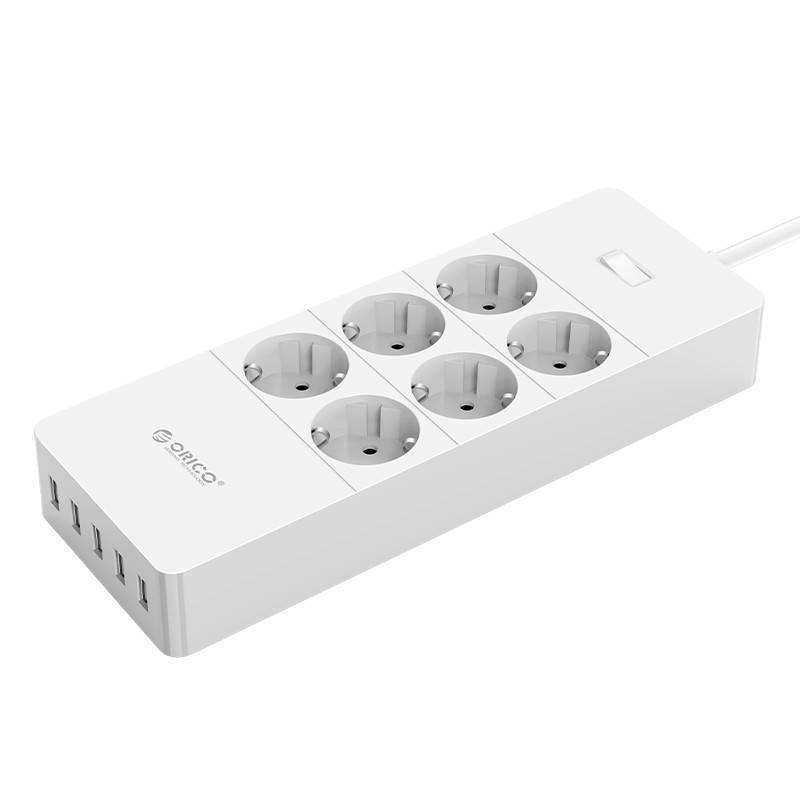 The Orico power strip looks luxurious. 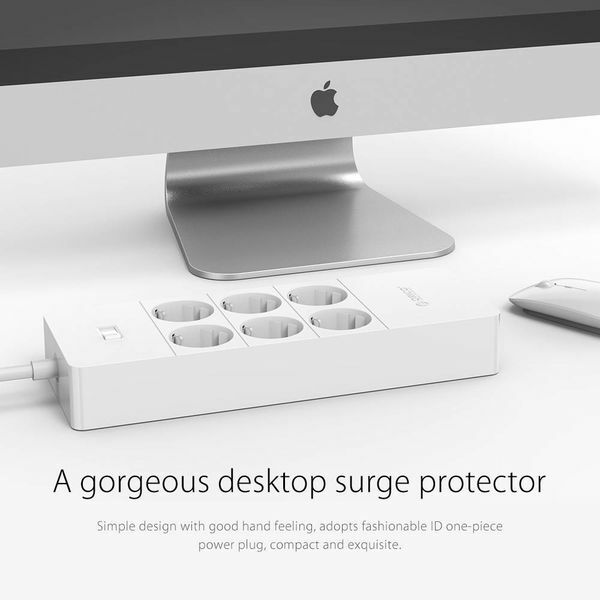 The matte finish ensures a cool appearance. 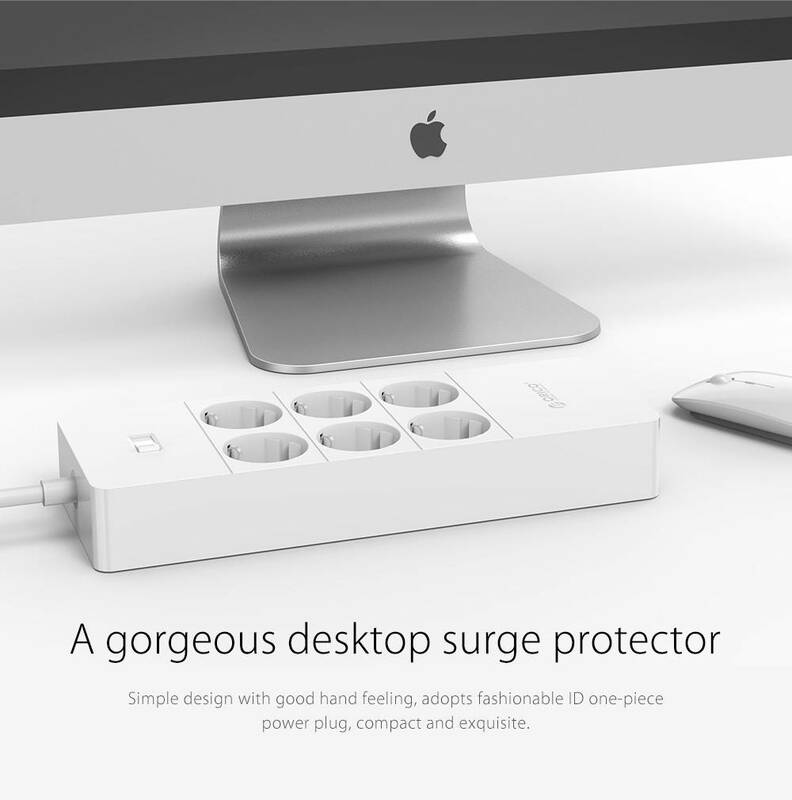 The sides are high-gloss white, which looks modern and attractive. 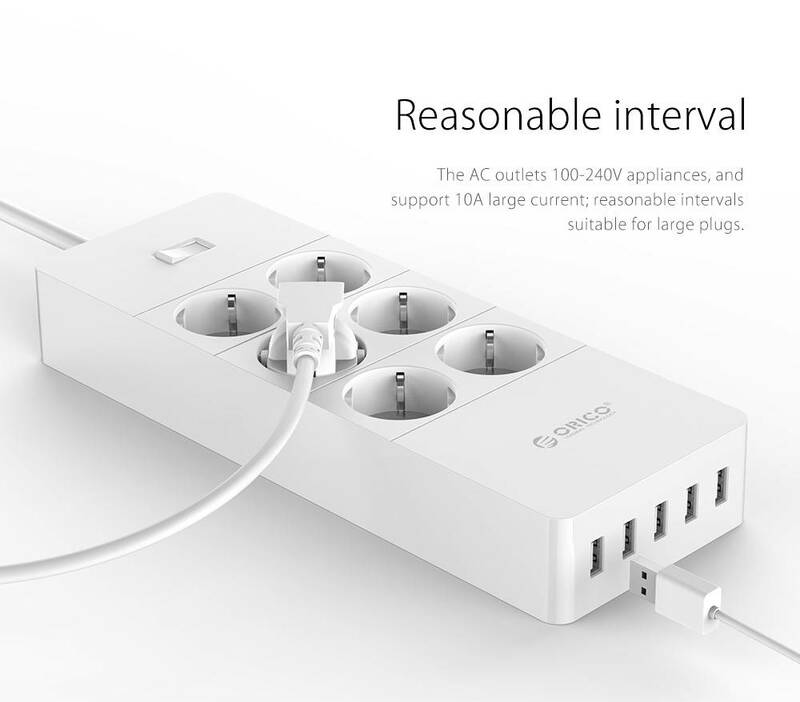 The power strip has six sockets. So you can connect many different devices to it. 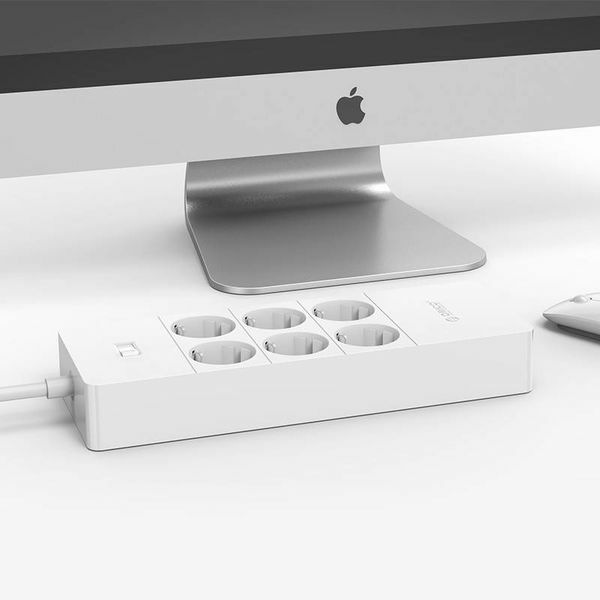 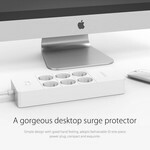 Very unique about this product are the five USB charging ports. 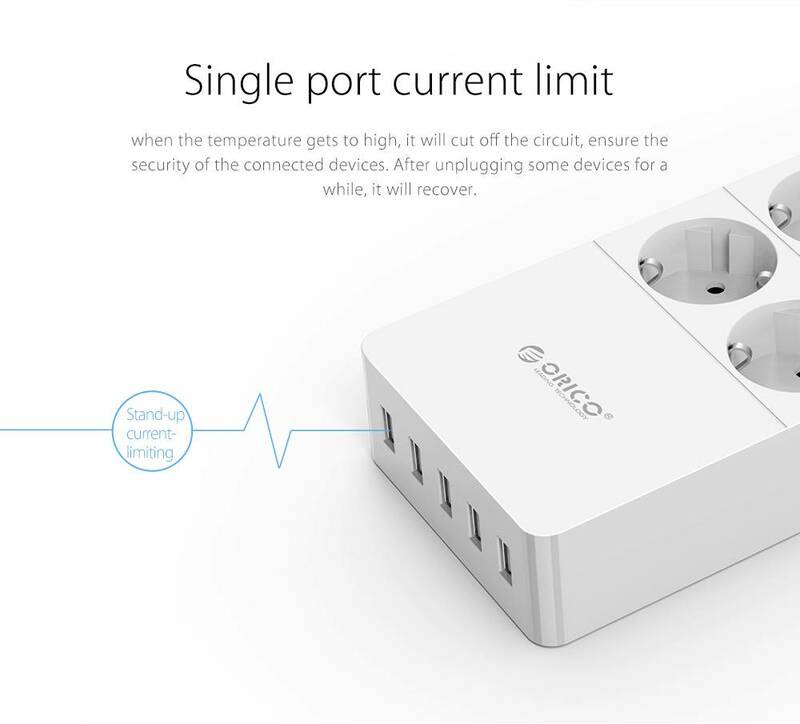 There is up to 2.4A per port, so you can safely and quickly charge 5V devices such as your smartphone, portable game console and tablet. 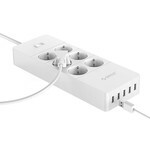 The nominal power of the entire power strip is 4000W (250V, 16A). 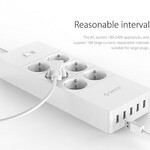 The use of the power strip is very safe. 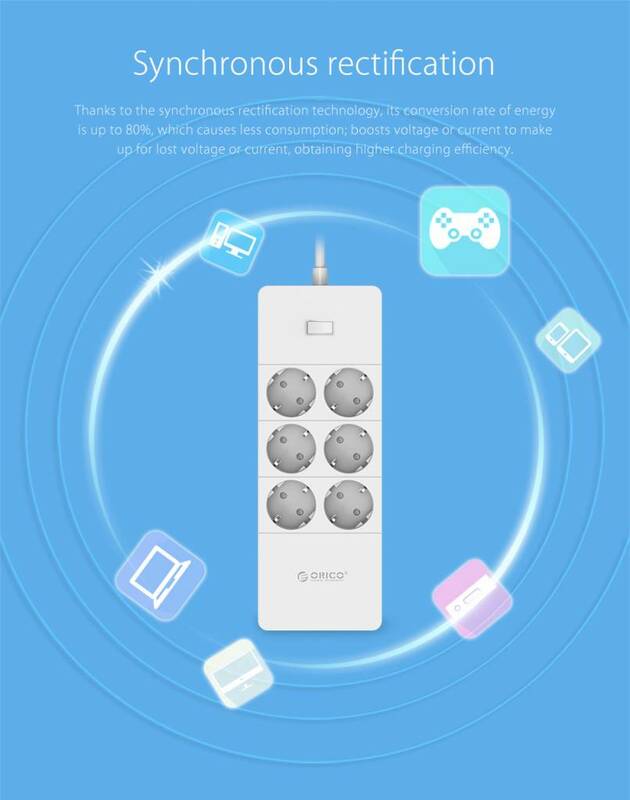 Overheating, leakage current, overvoltage and short circuit are excluded by the multi-security system. The product is also protected up to 750 degrees Celsius by the heat-resistant ABS and polycarbonate materials. 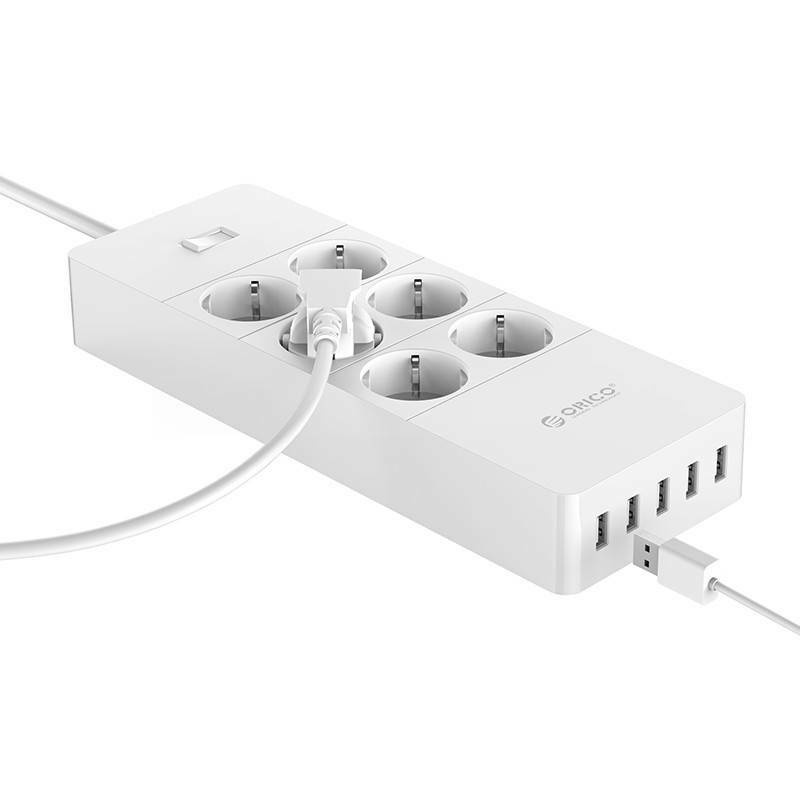 If the power strip becomes very hot, it switches itself off. You can then easily disconnect your devices so that the socket quickly returns to a lower temperature. ✔ Rated power: 4000W (250V, 16A). 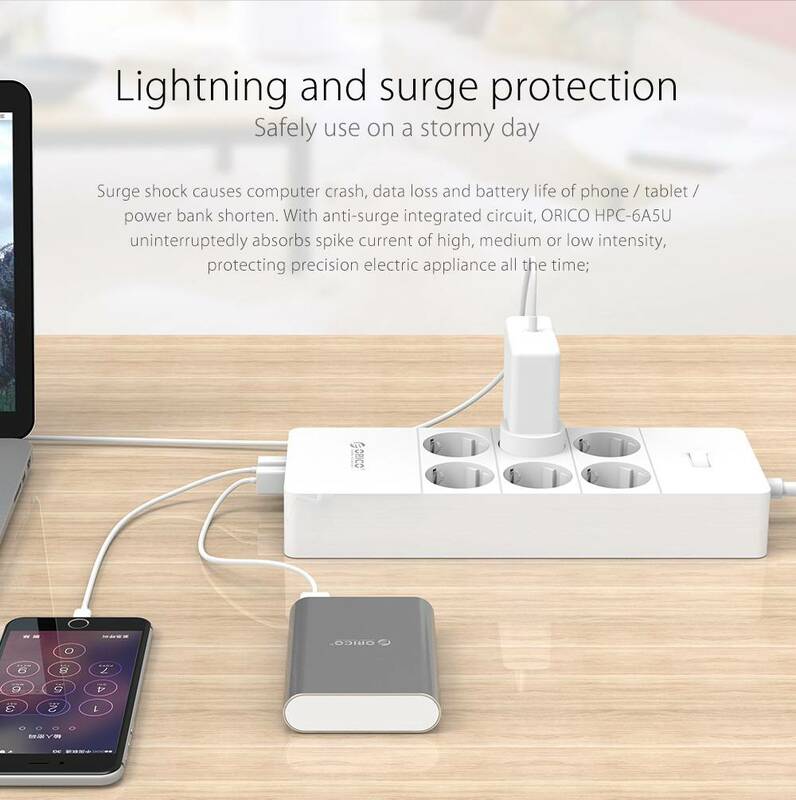 ✔ Fire resistant thanks to high-quality ABS + PC material. ✔ 5 UBS loading ports. 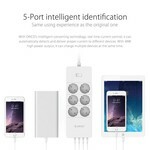 ✔ USB output: 5V-5A 25W. ✔ Product dimensions: 277mm x 100mm x 42mm.